Here is some feedback that I have received. I want to thank you so much, not just for being on the show, but for doing what you do. For helping so many people open their hearts and to just let all of us understand that there really are things greater than ourselves walking around in this human skin, so thank you so much for that and for you! It has been a delight to have you….I love how you teach those to look at situations and be able to find the nugget in it. There is a place of gratitude that we go to when we can find that nugget. Dr. Pat BacciliCEO and Host of The Dr. Pat Show and Owner, Unlimited Possibilities Now, Inc.
You are a fascinating woman. You are teaching about a great subject… one that a lot of people need. Thank you for sharing. I have interviewed Debbie Heneghan and did coaching sessions with her. Debbie is an amazing intuitive. She is articulate, warm, compassionate, and her work is to help others deal with loss in their current relationships and with those who have passed, to offer positive perspectives and hope. After working with Debbie, I felt renewed, rejuvenated and ready to take the next positive steps. I highly recommend Debbie as a talk show guest, speaker, and coach. Patricia RaskinHost of “Patricia Raskin Positive Living” on Cumulus Broadcasting and CEO of Raskin Resources Productions, Inc.
Ms. Heneghan is a dynamic and engaging speaker. I have been in attendance during several of her speeches. Her insight and hope-inspiring messages are so needed in today’s world. Her work is making an impact and her energy is infectious! Once in a while a sleeper sneaks in—a book so unique it cannot be categorized. Closer Than You Think is just such a book. No, this is not the usual grief book on how to handle the death of a loved one. It is not even one of those stories about an individual on this side of the curtain channeling what a loved one says from ‘the other side.’ Such books have real value, but this one has more. Way more. Weaving all kinds of stories in and through her own, Deborah Heneghan covers every aspect of death and dying, life and living in a heart-filled, uplifting, and totally unique and wonderful way. What she has created is a caring and compassionate guidebook like nothing else I’ve ever read. She’s done us a favor. She’s opened up our hearts with this book… so we can see what’s inside. 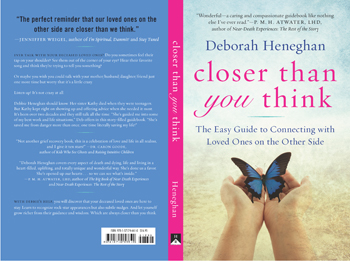 With a confident voice, a sense of humor, and wisdom borne of painful loss, author Deborah Heneghan speaks clearly of dealing with grief by trusting and learning how loved ones communicate and help us after they die. I couldn’t turn the pages fast enough to read more miracle stories of how famous and not-famous people received endearing messages or how a deceased father pulled his famous son out of a burning car. Miracles happen, and we still grieve and feel pain for those we have loved and lost. Heneghan provides a voice of truth and inspiration to handle grief, accept life, and have faith in your continued connection and communication with a loved one. Her ten fundamentals are guidelines for healing yourself and helping others along the way. This is not another grief recovery book; this is a celebration of love and life in all realms, and I give it 10 stars! Debbie, I can certainly see why you are so impassioned to publicly speak. Your messages are so powerful, and so captivating…. I could not take my eyes off of you. God has certainly blessed you in such a special way. There is no doubt in my mind that he is going to lead you exactly where you are needed most!!! Your guidance, advice and experiences are refreshing and truly inspirational. You have helped me to see life and my experiences from a new, more positive perspective. My life has changed for the better and I can’t thank you enough! 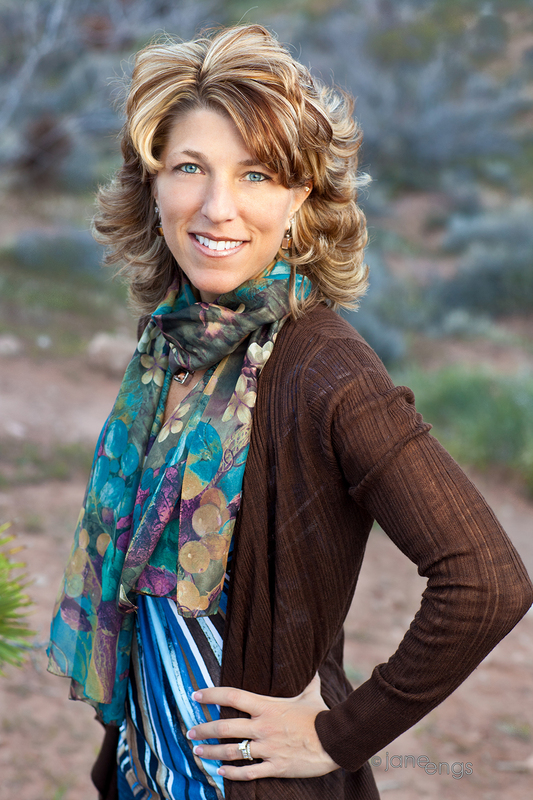 I have been following Debbie on her website, listening to her radio shows and took part in her 3-week teleseminar, and her insight and guidance has been so valuable to me. I have started to use the tools and techniques and can’t thank her enough for what she’s doing. It has made a huge impact on my life. Thank you, Debbie, for giving me the courage and strength to embark on this journey for myself and my loved ones that have passed on. It’s wonderful! Your radio show was awesome! Really! I felt peace and happiness just listening to the stories and your guidance. I cannot wait to tune in next week. This is truly your calling! Debbie, Jack and I both appreciate so very much the care and concern you have extended to us as we endeavor to find our way through this mysterious lifetime we share! I think I can speak for Jack also when I say “You are truly an Angel on Earth” ! I can’t thank you enough for taking the time and effort to give Jack and I such love empowered support! We discussed many of the ideas and exercises you presented! And I have encouraged him to attempt to listen to some of your past programs over the weekend! Thank you for being you and all that you do for others! You are Amazing and as I said before have performed MIRACLES!!!!! You are a huge blessing to all of us fortunate enough to have been touched by your caring heart. You have given me a much needed boost physically, emotionally, and spiritually!